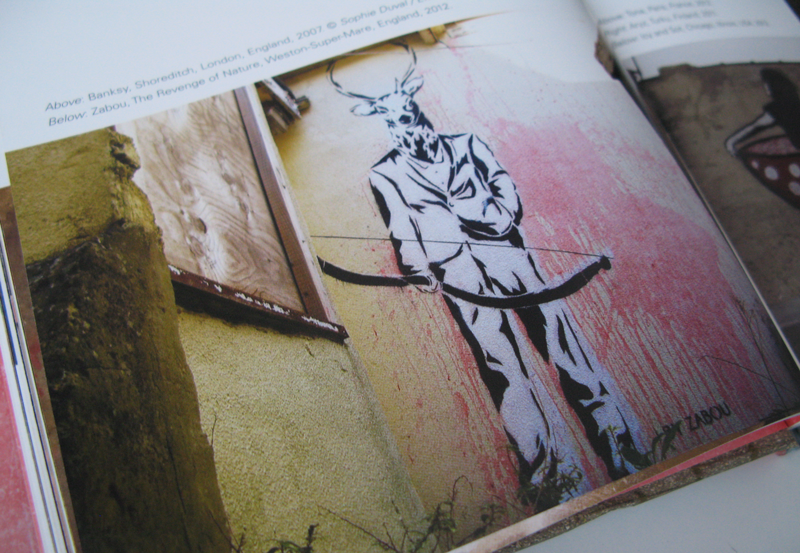 Really happy to be featured in ‘Planet Banksy’, a recently released book compiled and introduced by graffiti artist KET. 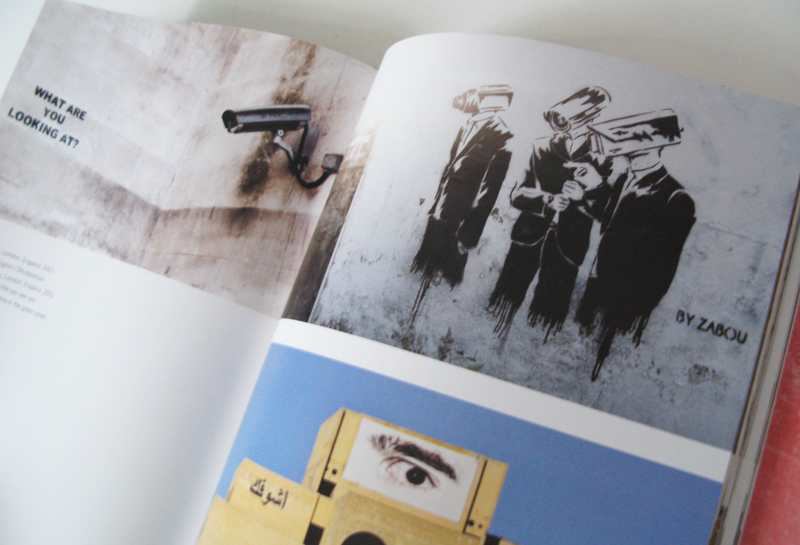 It features pieces by the famous Banksy, as well as works by street artists from around the globe including Icy and Sot, Hogre, Aiko and many others. The book is available for purchase here. 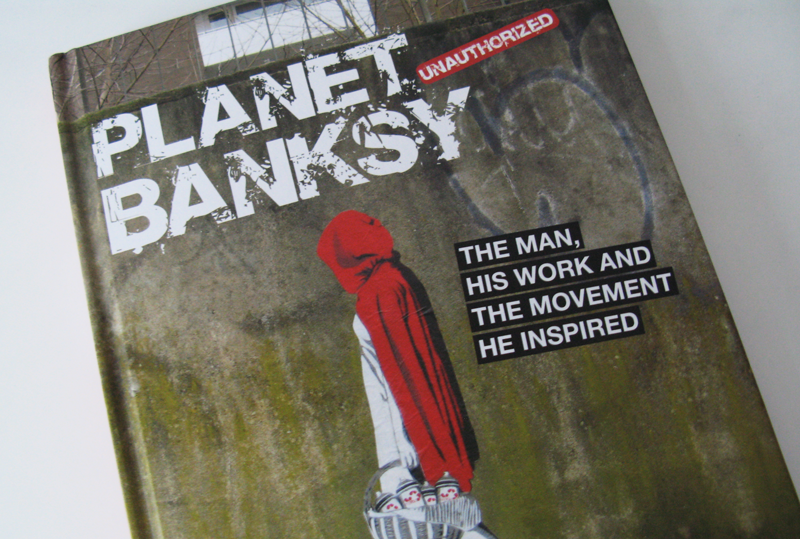 ‘Planet Banksy: The man, his work and the movement he inspired‘, by KET, O’Mara Books Ltd, 2014. I spent the weekend in Marseille (South of France) to paint this 5m large mural on one of the ‘M.U.R’ (public space that are being painted every month by an artist, there are 7 in total in the whole country). 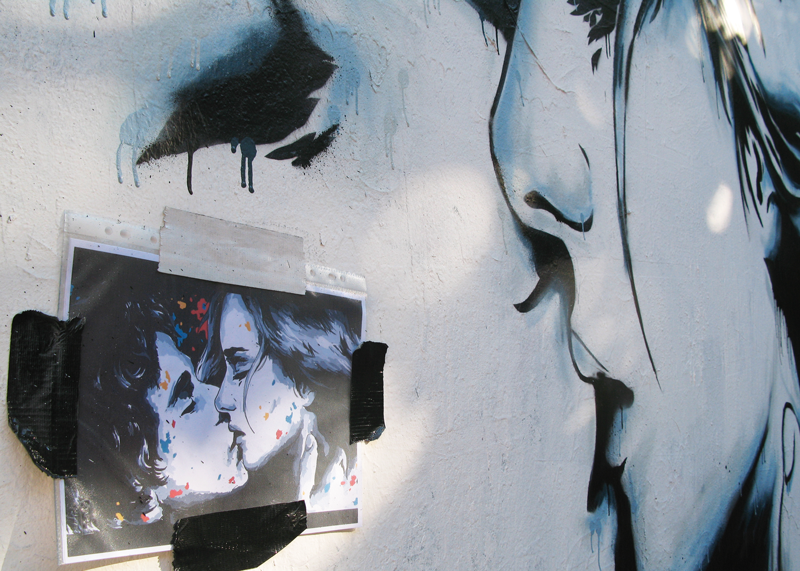 The piece celebrates love and depicts a couple kissing. The space is managed by the Association Juxtapoz who previously invited French artists Ella&Pitr and Jeff Aérosol to perform on the wall. 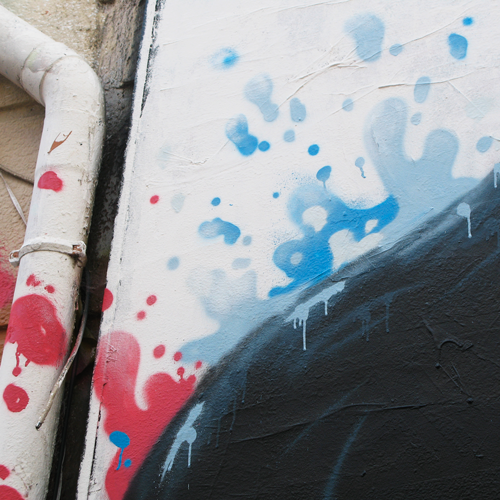 It is located at the angle of the Cours Julien and the Rue Crudère in the city centre, in a district where street art and graffiti rule. A festival was organised during the whole weekend in the area, featuring performances by Acet, Julien Raynaud, MartaKa and many more. 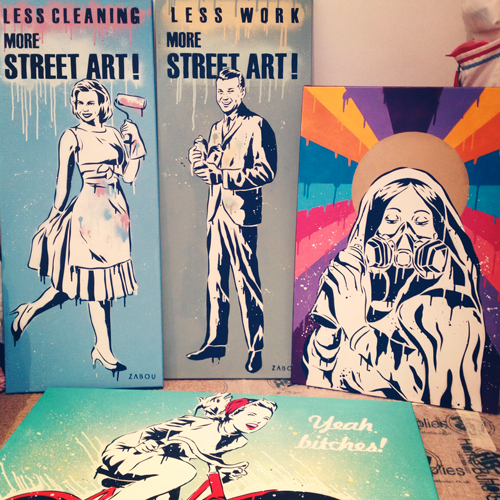 Very happy to announce my first show in France at Galerie La Bohême in Deauville. 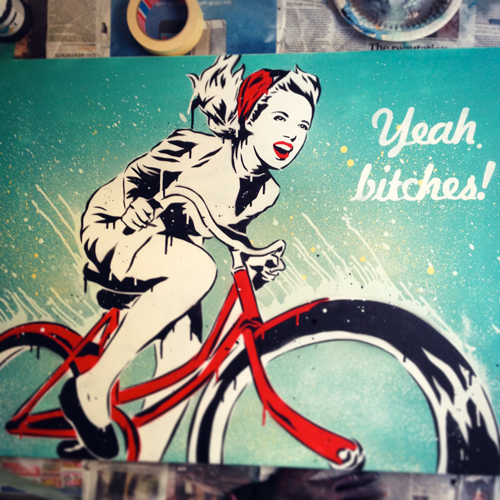 The show runs from the 27th June to the 28th July 2014 and features as well another French stencil artist: RSNT.